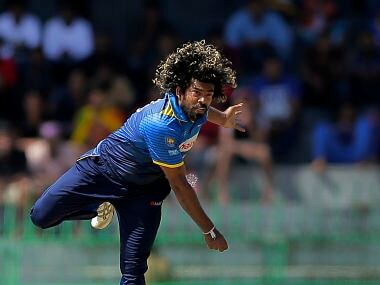 Colombo: Sri Lanka omitted vice-captain Dinesh Chandimal from a 15-member squad and brought in three uncapped players for a two-Test tour of Zimbabwe next week. Sri Lanka Cricket said Chandimal was yet to recover from a thumb injury he sustained during a domestic match last month. The three new faces in the squad are fast bowlers Kasun Madushanka and Lahiru Kumara and the allrounder Asela Gunaratne. The first Test begins on 29 October in Harare while the second is scheduled from 6 November at the same venue. Chandimal, who had debuted against South Africa at Durban in December 2011, has played 31 Tests so far, scoring 2,257 runs at an average of 44.25. He has scored seven centuries and 10 fifties. He last played in the home Test series against Australia in July-August that Sri Lanka won 3-0. The right-handed batsman had scored 132 and 43 in the third Test against Australia – which was his most recent Test appearance for his country – setting up a 163-run victory. The Test squad: Angelo Mathews (captain), Dimuth Karunaratne, Kaushal Silva, Kusal Perera, Kusal Mendis, Dhananjaya Silva, Rangana Herath, Dilruwan Perera, Lakshan Sandakan, Suranga Lakmal, Niroshan Dikwella, Kasun Madushanka, Lahiru Kumara, Lahiru Gamage and Asela Gunaratne.